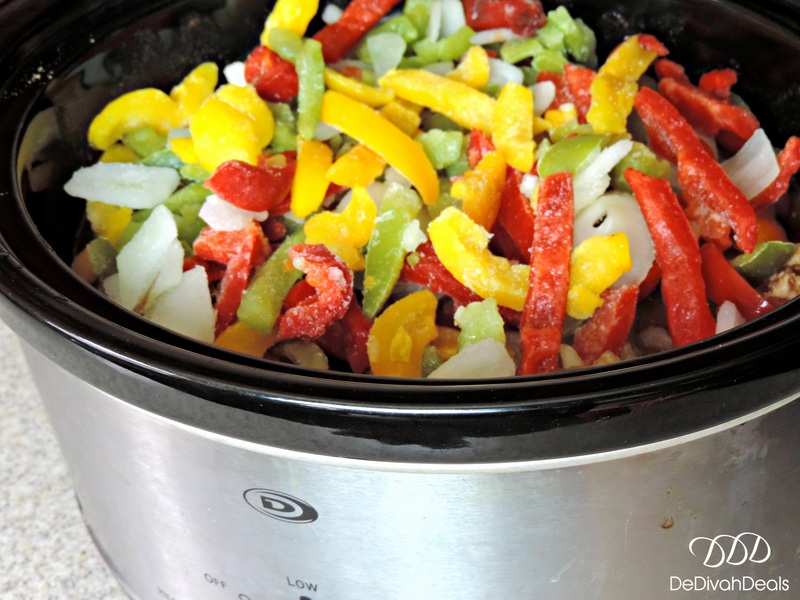 If you don’t know me by now, you will never never know how much I love my Crock Pot! Just a little play on words from the famous song by the classic group, Harold Melvin and the Blue Notes. 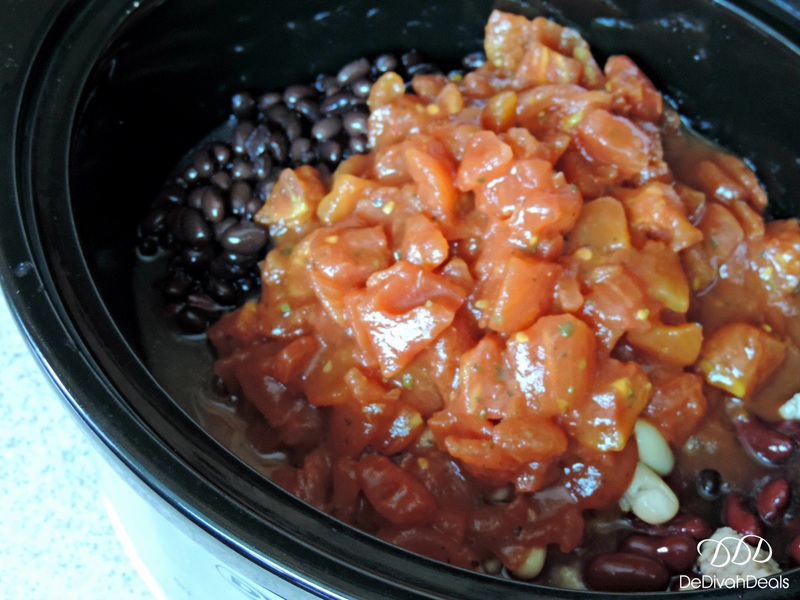 It was another crispy Autumn weekend and my Crock Pot was filled with the ingredients for a delicious 3 Bean Chicken Chili. Most grocery stores are running specials on their beans so it’s a perfect time to stock up which is exactly what I did with these Bush’s Beans on sale at Food Lion last week. 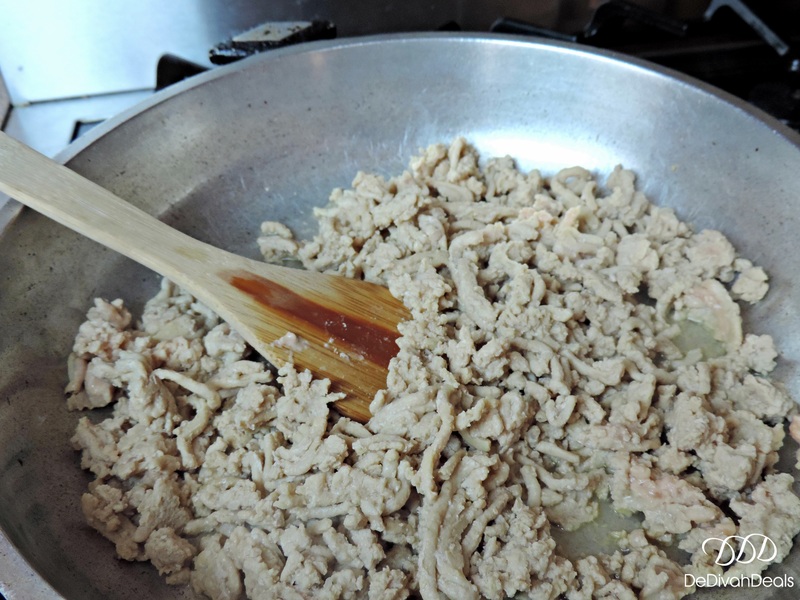 Spoon the fully cooked Ground Chicken into Crock Pot. 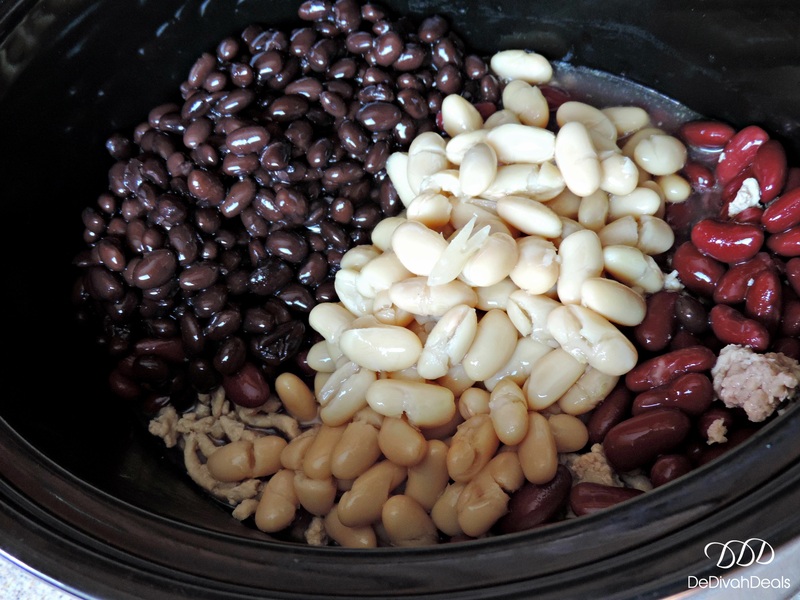 After Chili has cooked, you can pour in a cup of Instant Rice directly into the Crock Pot allowing it to absorb the liquid and thicken, approximately 10 minutes. 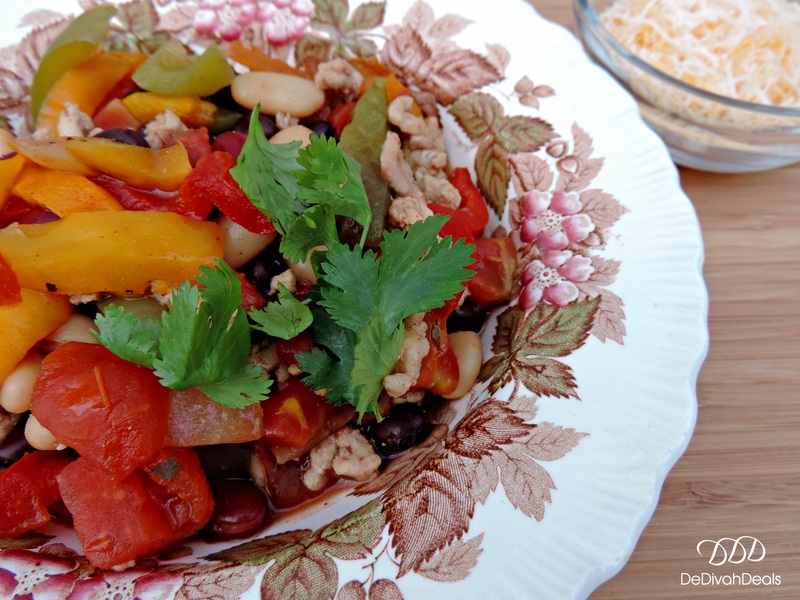 Top the Chili with a dollop of Sour Cream and garnish with Cilantro and serve with hot corn bread or muffins. Of course hot sauce or cayenne pepper is your option because it is definitely one of mine. 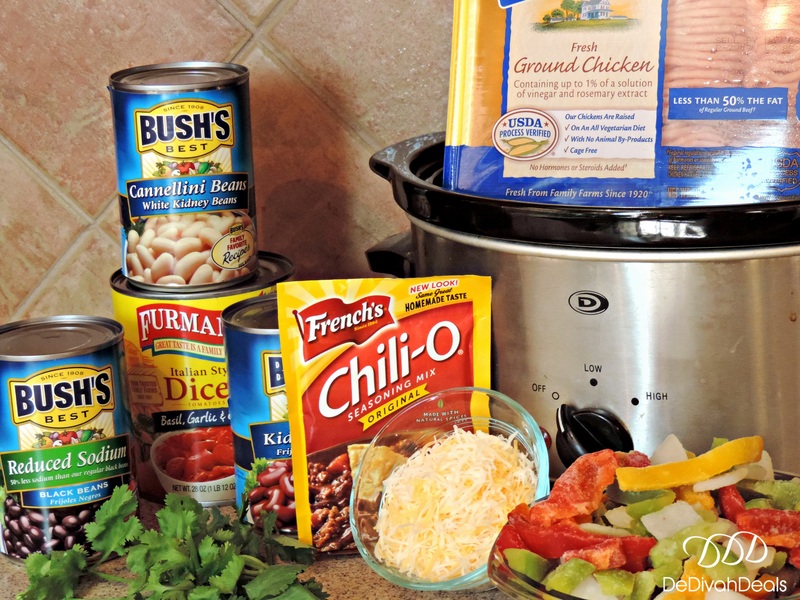 What is your favorite Chili recipe? Disclosure: Affiliate links are contained in this post, however, it will not add any additional cost to your purchase price. It might, however, help me buy a second cup of coffee! This is totally doable for me and my family. I love your crock pot recipes. I’m going to try this. Thanks for sharing! Thank you my dear and I can’t wait for you to try it. Enjoy the weekend. I retired from Cooking. . .LOL. Now I enjoy eating at my Mom’s but I must tell you that I know all the words to that song and was singing along just now. Enjoy your weekend Sis. Oh how I envy you blog sistah, although I love cooking, I wouldn’t mind eating someone else’s food every once in a while! Have a wonderful weekend and I can only imagine what moms will be cooking for turkey day – enjoy! 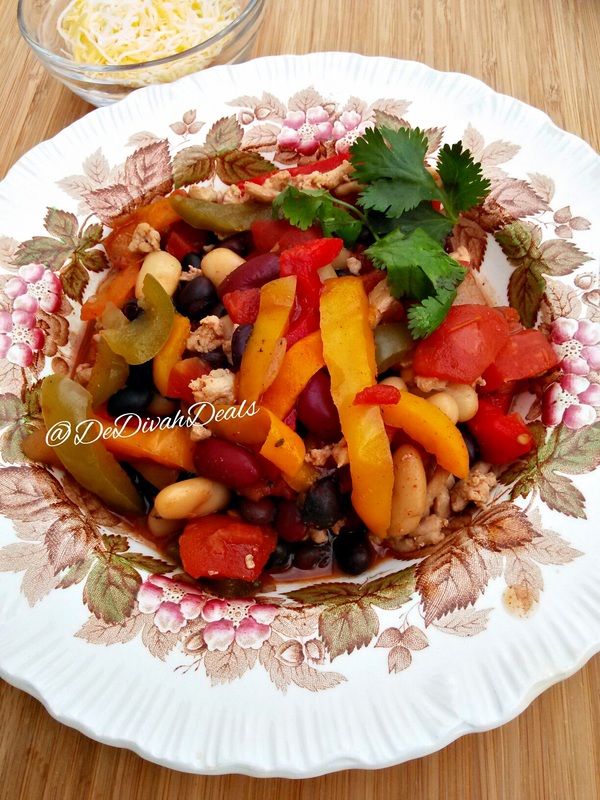 I started adding multiple beans to my chili some time ago and it’s yummy. Looks D-Lish and easy to make! I love the recipes ideas you able to come up with! 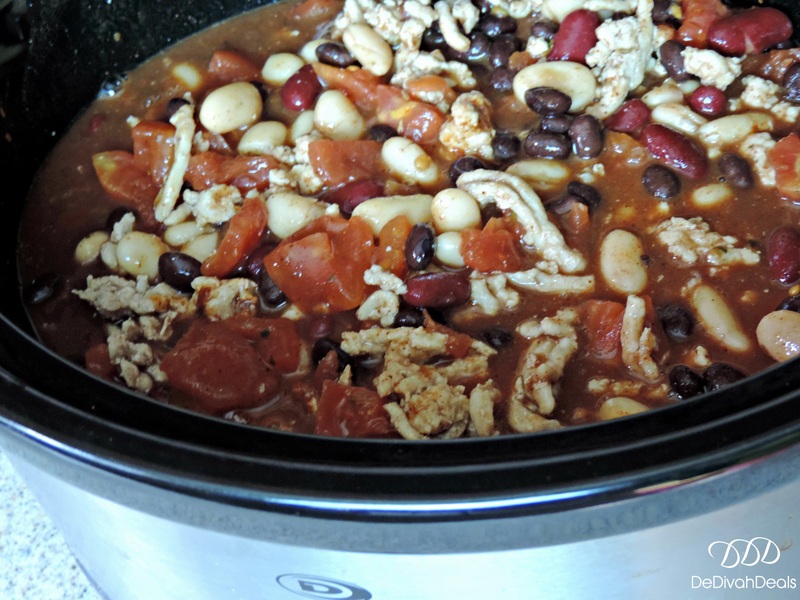 Thank you Stacie, I do love my CrockPot – hope you enjoyed the weekend. It won;t be much longer…you will be sitting in the comfort of your home office soon and very soon!